At THSP we pride ourselves on supporting SME’s with a range of consultancy services to help strengthen their businesses. 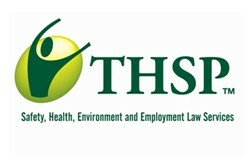 If you’re looking for practical, straightforward advice on health and safety, employment law, ISO compliance and environmental services then we can help. Bespoke to your requirements our health and safety service allows you to do what you do best, manage and grow your business. We become your competent health and safety person, so you have peace of mind that you are legally compliant. We’ll save you valuable time and resources with our cost effective and complete employment law solution so you can be safe in the knowledge that your business is meeting its employment obligations. Supporting businesses to gain and implement quality, environmental and occupational health and safety standards we’ll personally guide you through the process to achieve the competitive advantage you deserve.